ChargeTech Anti-theft Combination Lock - Anti-theft lock features a combination lock to ensure you never lose another key. 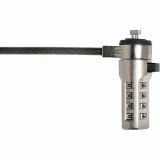 Stainless steel, insulated cable with snap-lock technology allows easy use. 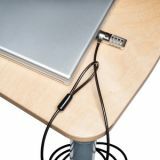 Included disc with 3M double-sided tape allows it to be anchored to any surface. 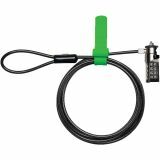 Anti-theft lock is perfect for securing charging stations, cell phones, tablets, laptops, computers and more.